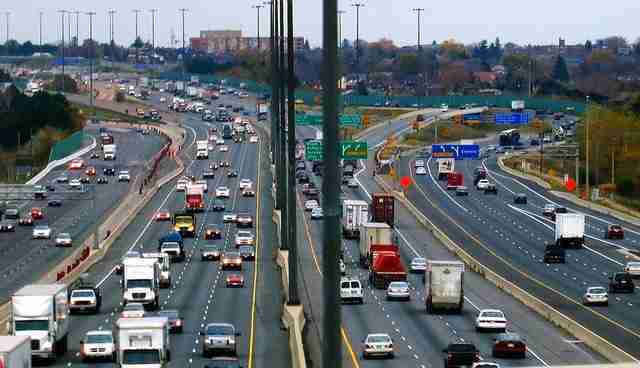 While driving along one of Canada's busiest highways, Rob Boisvert learned the hard way to keep his eyes not only on the road - but alongside it. Because every now and then, amid the bustle of blaring metal, he spots a runaway. Many of the trucks bound for slaughterhouses and factory farms ply that route. Boisvert, a team member of Refuge RR, often sees the results of these trucks' flimsy enclosures. "Sometimes, the livestock trucks have little pieces missing out of the side or on the bottom," he tells The Dodo. "You'd be surprised how many animals end up falling off livestock trucks." 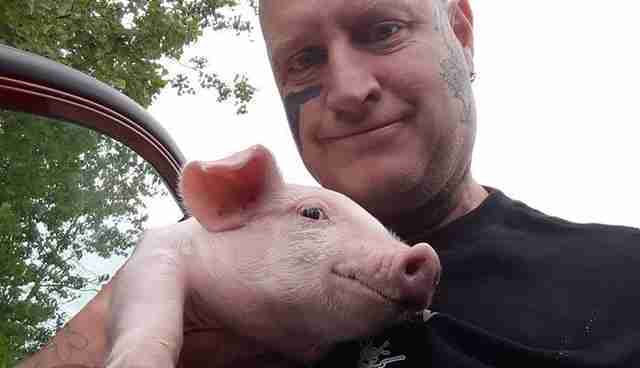 Once, he saw a pig whose leg was dangling so far out of the bottom of the trailer, it was nearly scraping pavement. "We managed to get underneath the truck and push him back inside," he says. "He was about to have his leg ripped off." But every now and then, an animal makes the cleanest, happiest of breaks. 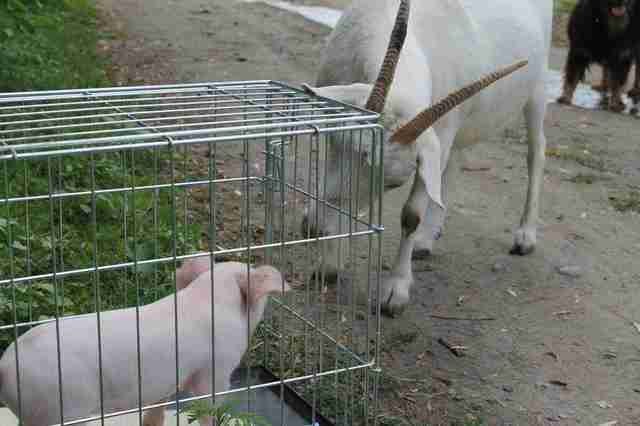 Like the little pig Boisvert spotted on the side of the highway on Thursday. "I just happened to be passing a car and out of the corner of my eye, I see a little pink face peeking up out of the grass," he recalls. Boisvert found a safe place to pull to the side of the road and got out his rescue equipment, which, apparently, no animal lover leaves home without. Then came the tricky part. Nervous that he might spook the animal and send her fleeing into traffic, Boisvert ran across several highway lanes. "I ran down to the ditch and pretty much did a jump and scooped her up in my arms quick - before she even had a chance to know I was onto her," he says. Swaddling the pig in his shirt, he made another death-defying scamper through traffic before getting the animal into a pet carrier in his car. One they arrived at the refuge in Alexandra, Ontario, things went from death-defying to life-affirming. Refreshments, as one Toronto woman learned last year, are not served on livestock trucks. "She's had about 12 cups of water since last night because she's so dehydrated," Boisvert notes. "She hasn't even peed yet because her body is soaking up all this water." 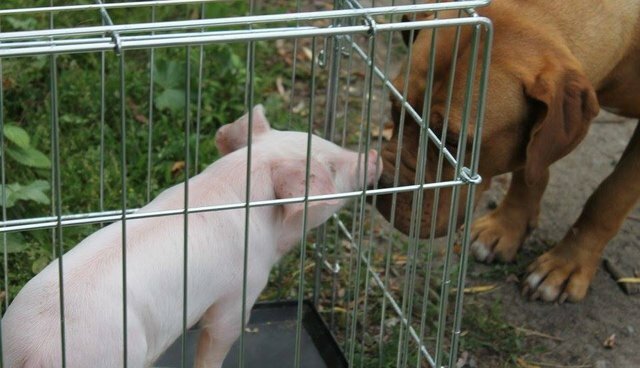 While the pig, who doesn't have a name yet, was waiting in her carrier at the sanctuary, she started to get her first reassurances that things would work out here. 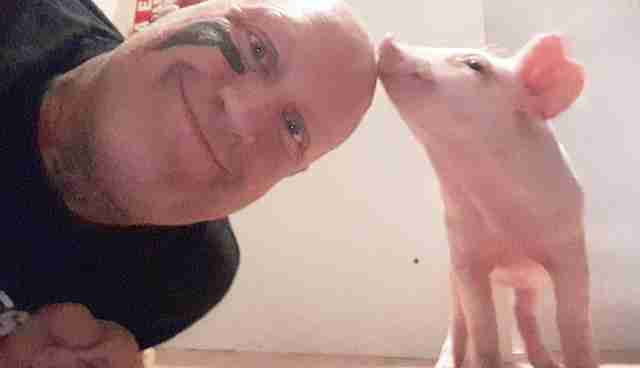 This little piggy had indeed avoided the market - and tumbled into her happily ever after. 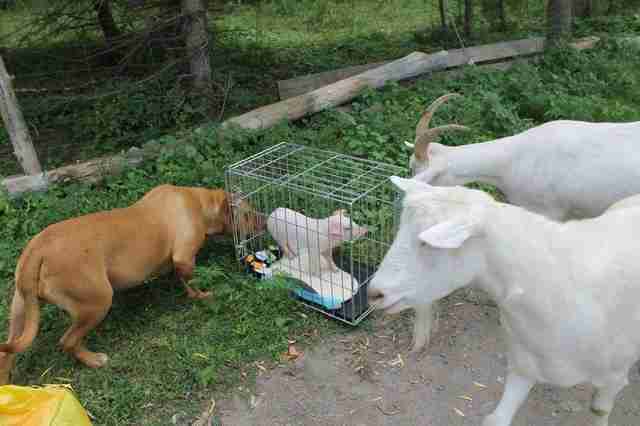 "A few of the animals came over to meet her," Boisvert says, as if to tell her, "You're safe now." She had found the home she would know for the rest of her life. 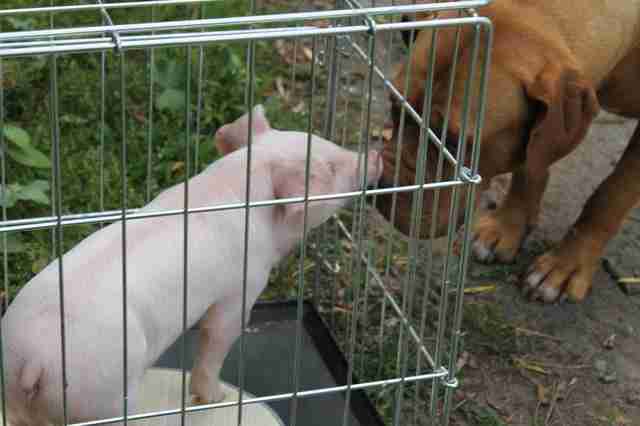 If you would like to help support this pig - and help give her a name - visit the GoFundMe page here.